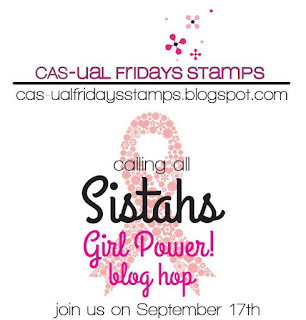 It's that time of the month again - CAS-ual Fridays Calling All Sistahs Blog Hop to remind us all to check our breasts for any lumps, bumps and abnormalities as a prevention against breast cancer. I made a clean and simple one layer card using Calling All Sistahs - this set is full of sentiments to send a fighting message to those suffering from breast cancer, as well as to remind our fellow sisters to check their breasts on a regular basis. 50% of the profits made on the sale of any of the Calling All Sistahs stamp and die collection are donated to breast cancer research. These lovely ladies are joining in with the hop this month - next on the list is Lori. Pop by to any of the blogs below and leave some love and you could be in with the chance of winning one of three $15.00 gift certificates for the store. Want to join in in next month? Pop over to the Calling All Sistahs facebook page for information on what you need to do. Enjoy the hop and thanks for calling by! Claire, I love your card! It's such an empowering and encouraging message for anyone fighting breast cancer. 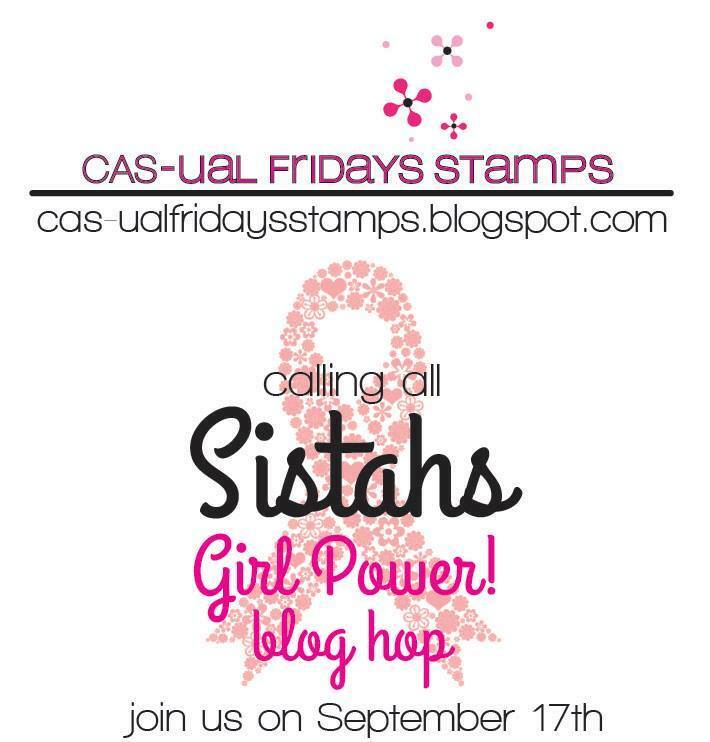 Thank you for being a part of the calling all sistahs girl power blog hop. This card is really, really cool. I Love the graphic nature of it. Great design. Great card using these sentiments. 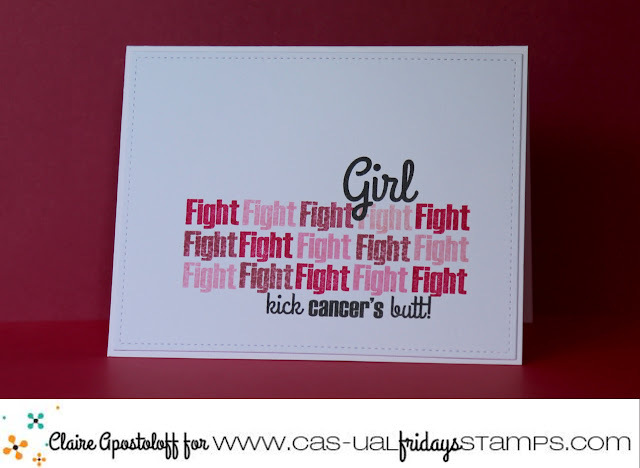 Awesome "fight" card, love the CAS design and the encouraging sentiment repeat. Just perfect! Thanks for the reminder. Oh how I love your powerful creation! Of course the message is perfect, but the style is so eye-catching! What a great card. Thank you for the reminder. Awesome colors! Thanks for the monthly reminder!